Shingle Springs, California (March , 2012) – Straight Line Roofing, Sacramento’s premier roofing contractor, is one of only eighty-five contractors in the country to win all three of the prestigious GAF Master Elite Excellence Awards. The coveted industry awards recognize Straight Line Roofing’s dedication to quality roof system installations, and their commitment to continuous improvement and superior customer service. 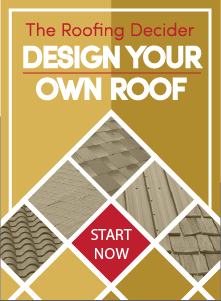 Most consumers recognize that choosing a roofing contractor can be a confusing and sometime risky decision. In fact, the Better Business Bureau lists roofing as one of the highest inquiry categories nationwide. As a factory certified Master Elite Contractor, Straight Line Roofing & Construction has been carefully pre-screened by GAF. In fact, only 2% of the roofing contractors in the country have earned GAF’s Mater Elite status – a distinction that truly sets them apart from the rest, and ensures that Straight Line Roofing & Construction is dedicated to helping every customer make their best and safest roofing decision. As a GAF Master Elite Contractor, they are also dedicated to continuous improvement and training. Straight Line Roofing & Construction offers full-service residential construction services for roofing, general construction, windows, skylights, solar, heating and air conditioning, gutters and leaf guards, painting, decks, siding, solar, and energy efficiency upgrades. Quality service is the top priority at Straight Line. Our commitment to customer satisfaction has built a reputation of reliability and honesty, earning respect from our suppliers, fellow contractors and homeowners.